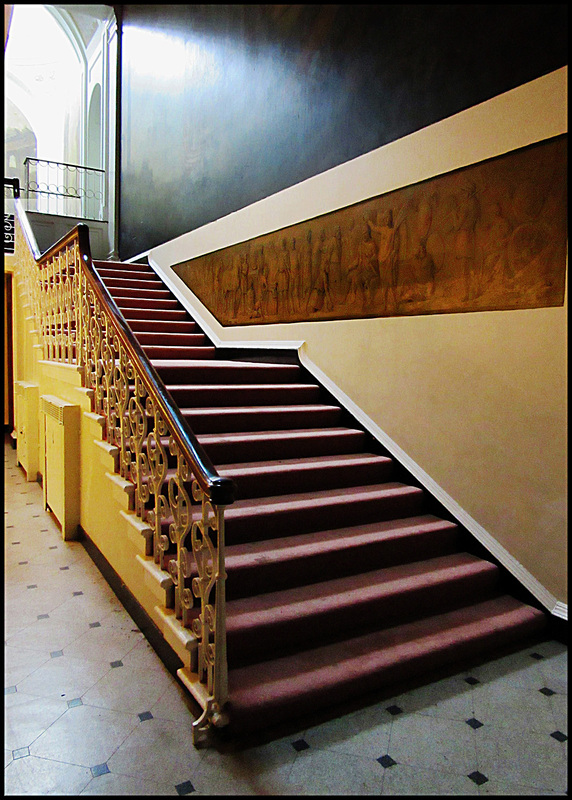 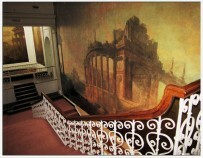 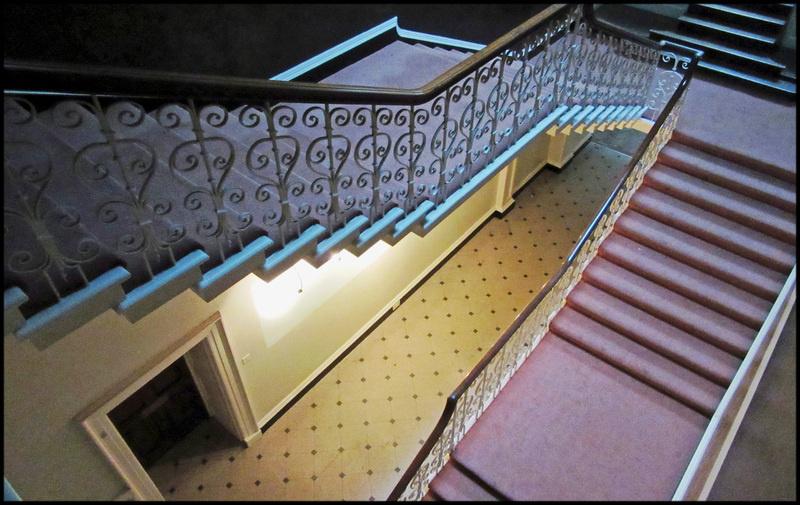 Inside the mansion, built by Sir William Wentworth in 1720, is a rectangular hall containing a stone staircase with an early Georgian wrought-iron balustrade and stone steps. 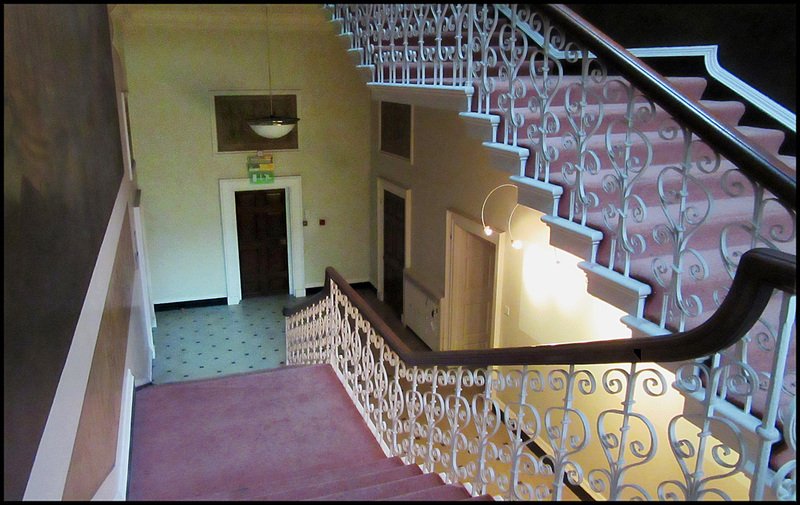 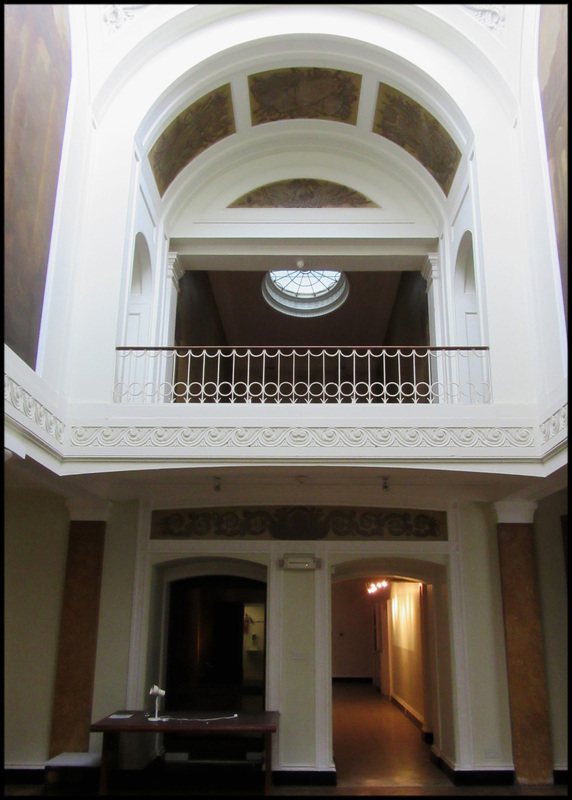 The staircase rises to a landing, with access to the first floor, before turning back upon itself to rise to the second floor. 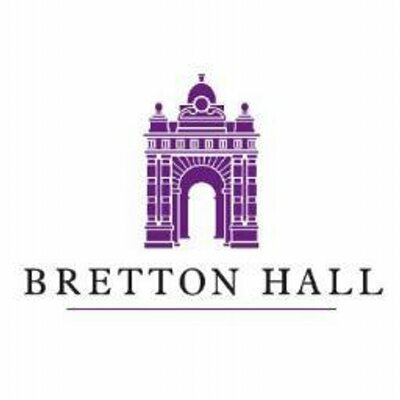 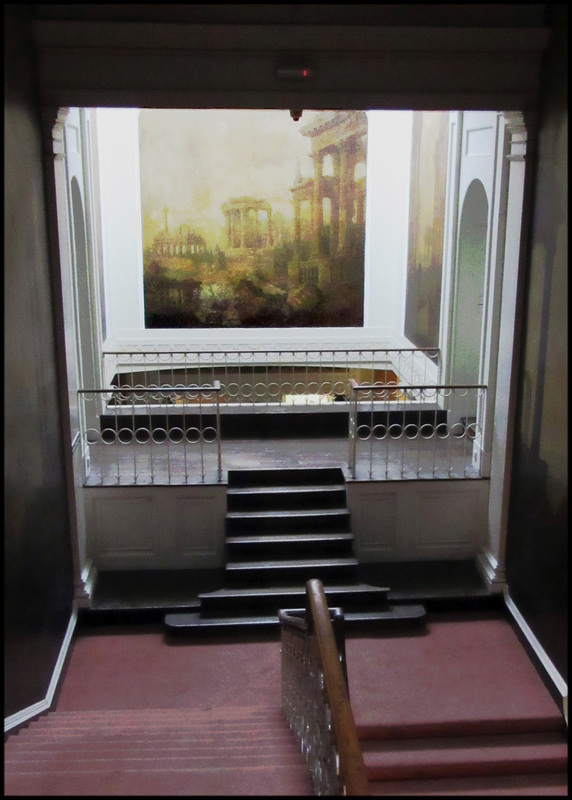 As part of his extensions and developments at Bretton Hall, the architect, Jeffry Wyatt, broke through the wall at landing level in the staircase hall, providing an archway, overlooking a pillared vestibule that rises through the house to a coloured glass lantern on the roof. 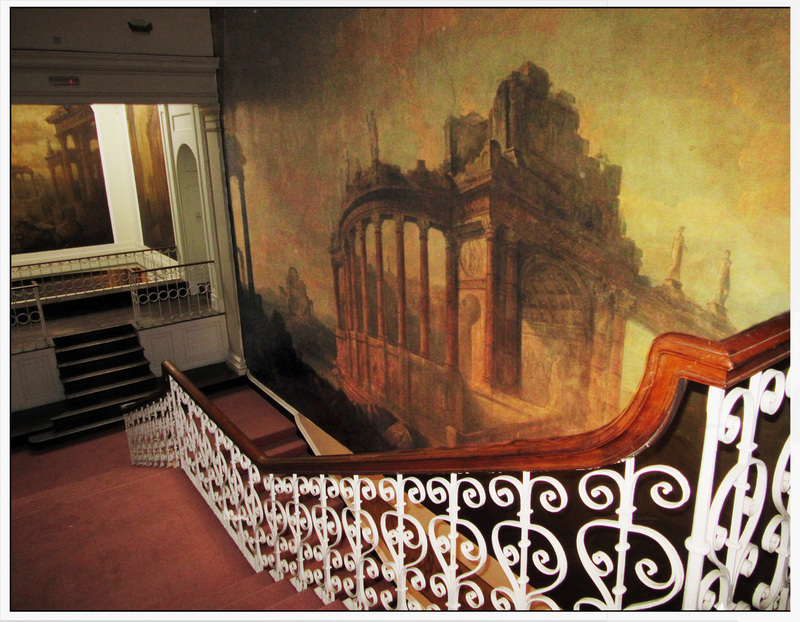 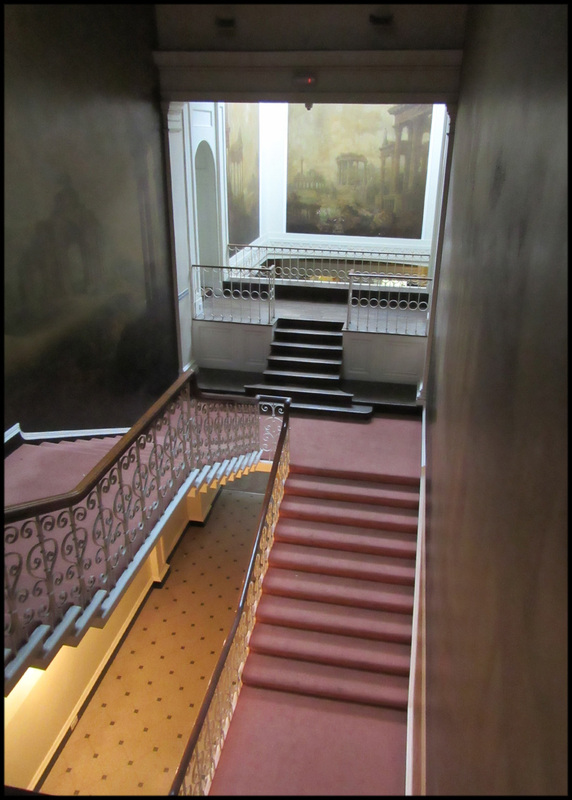 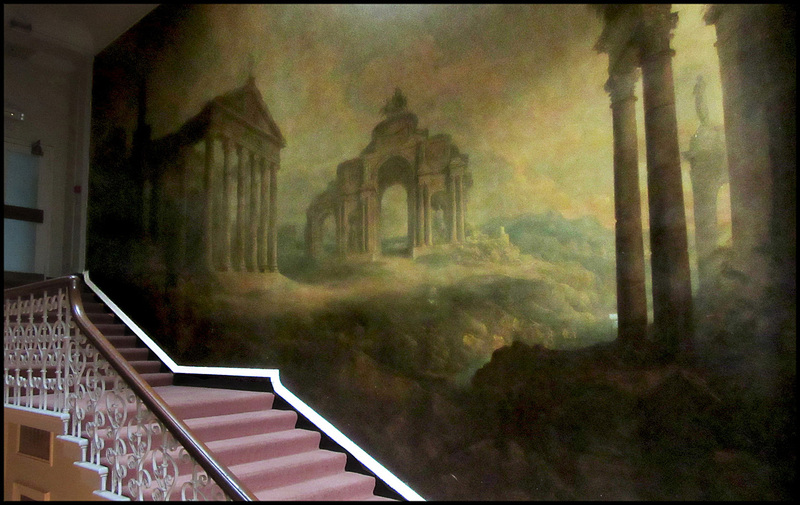 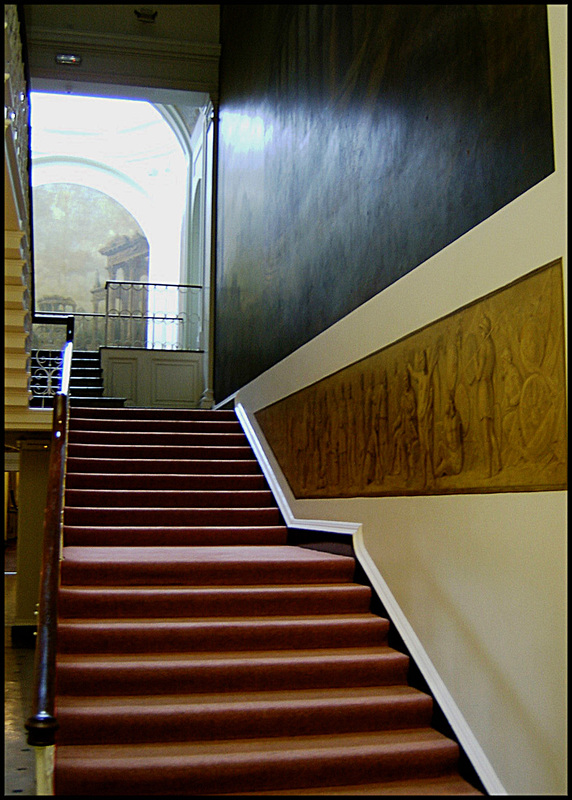 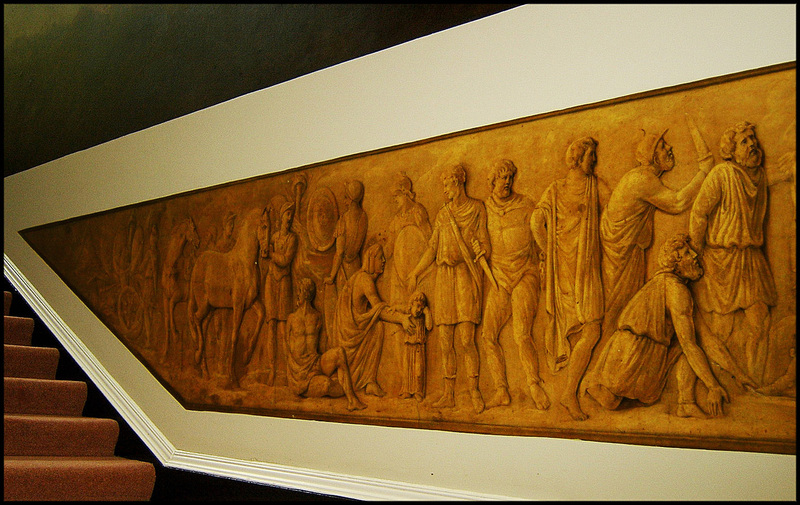 The result is dramatically effective and is enhanced by the mural paintings on the staircase and in the vestibule, showing Roman ruins.